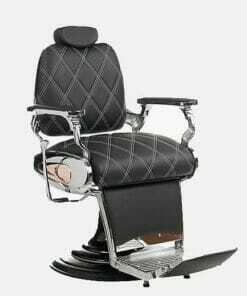 Silver Barber Chair in black upholstery which is comfy and has stylish chrome finishing touches. 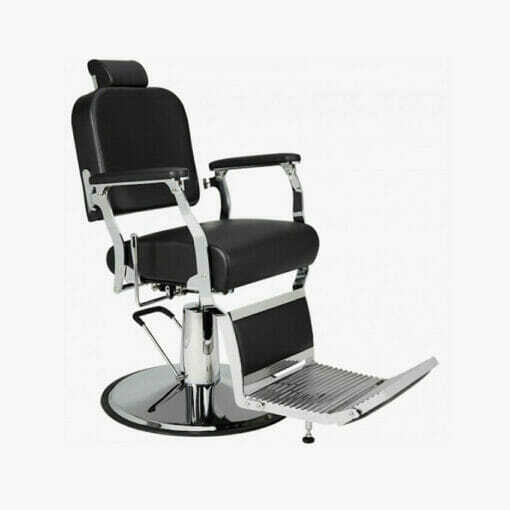 Mila Silver Standard Black Barbers Chair in black upholstery on white hydraulic base. 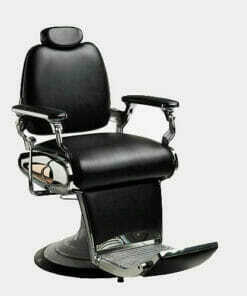 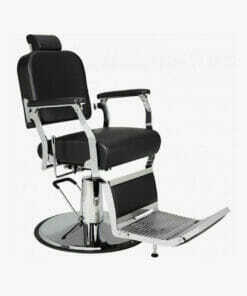 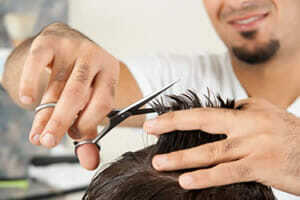 Large locking hydraulic comfy barbers chair which is ideal for barbershops and beauty spa’s. 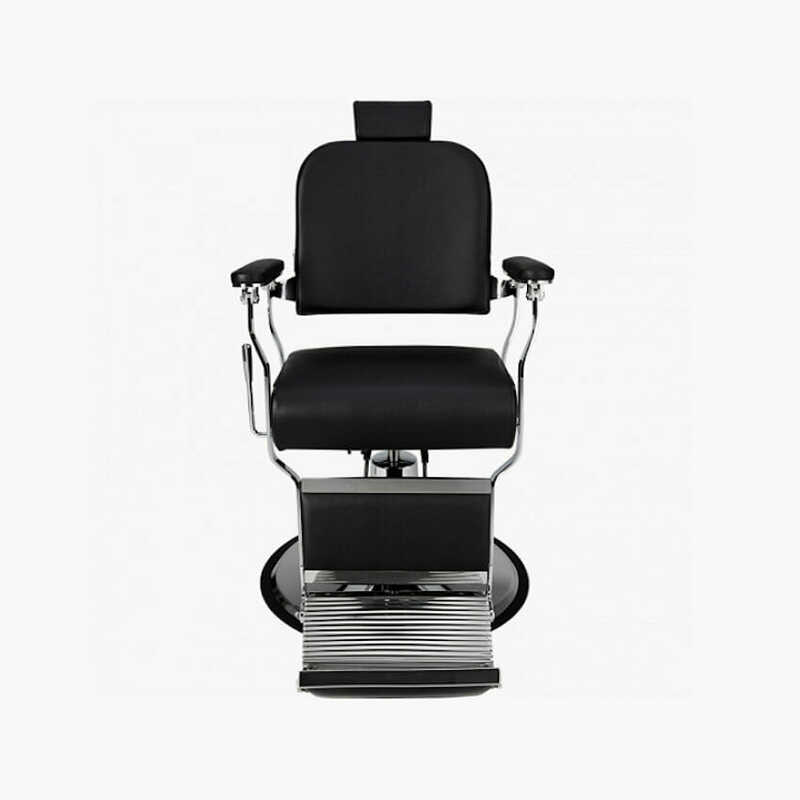 Large chrome hydraulic locking base as standard with reclining backrest and removable or adjustable headrest. The backrest is also integrated with the leg rest position which also has a swivel upholstered footstool. Stylish chrome detail finish on the sides and front. 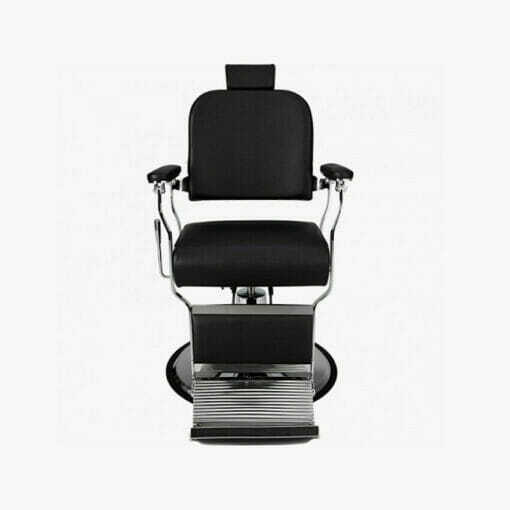 Dimensions width 72cm, depth 106cm to 153cm, seat height 58cm to 75cm, overall height 112cm to 129cm. 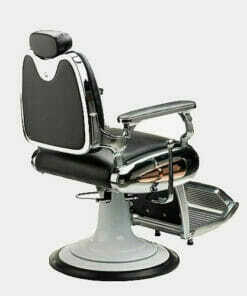 Tiger from Mila, with stylish diamond stitching for sale with choice of Mila upholsteries. 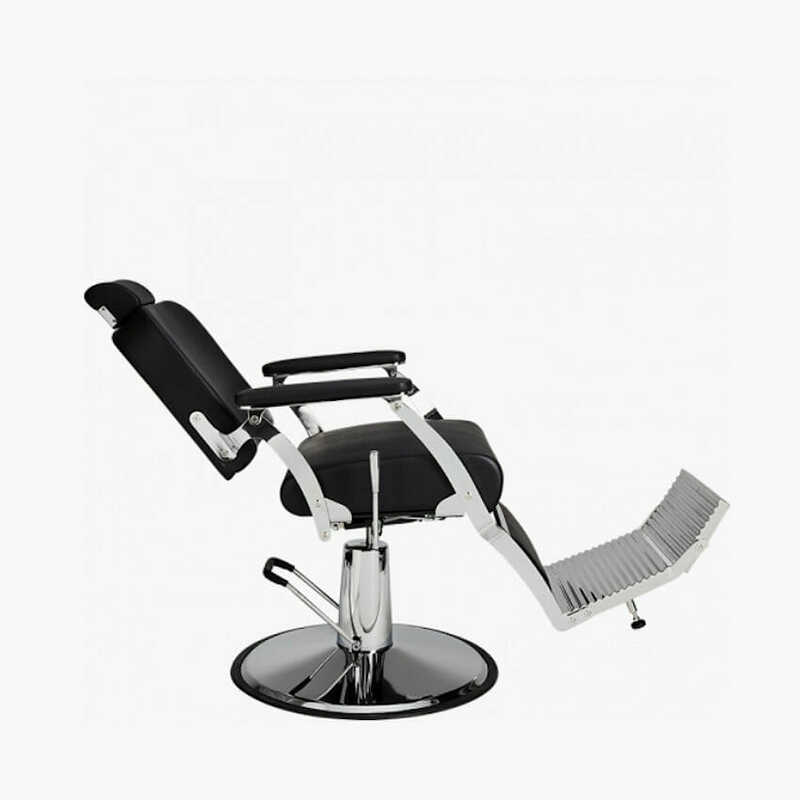 Tiger Chair in black upholstery which is comfy and has stylish chrome finishing touches.